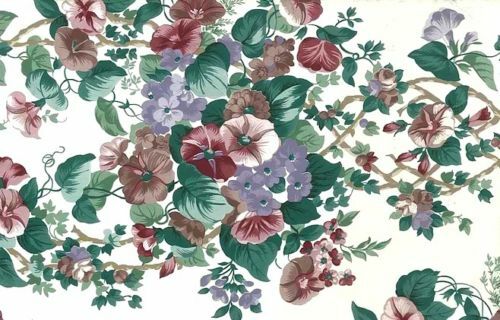 Morning glories vintage wallpaper floral pattern from England. 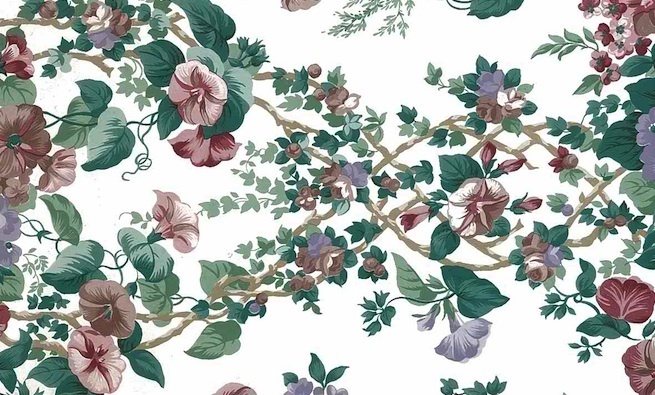 It features a profusion of morning glories in shades of Cranberry Red, Rose, and Lavender on vining leaves of Green, all on a White background. We sold out of a similar pattern with a Navy background. 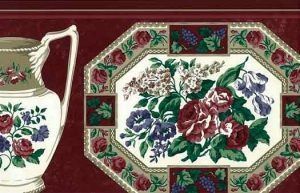 This “English Manor” pattern captures the essence of shabby chic. Perfect for a Guest Bedroom.